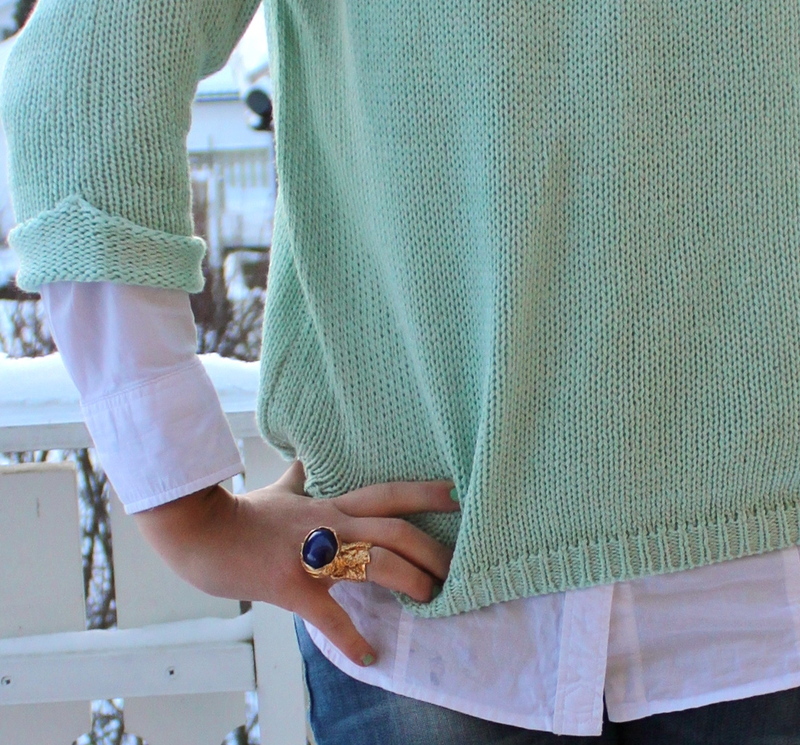 Loove the color of the knit!!! the color of your sweater is gorgeous! and your puppy is way too cute. thanks so much for your lovely comment! we love hearing from you! Takk for kommrntaren. Selvfølglig vil jeg følge deg. Elsker dette antrekket, spessielt matchen mellom pastel og YSL ringen, som gir det litt mer "edge". Oh, I adore this outfit, definitly cute. This mint colour is sweet! Ur ring is perfect! What a great sweater! The colour is amazing, thank you for your comment on my blog! 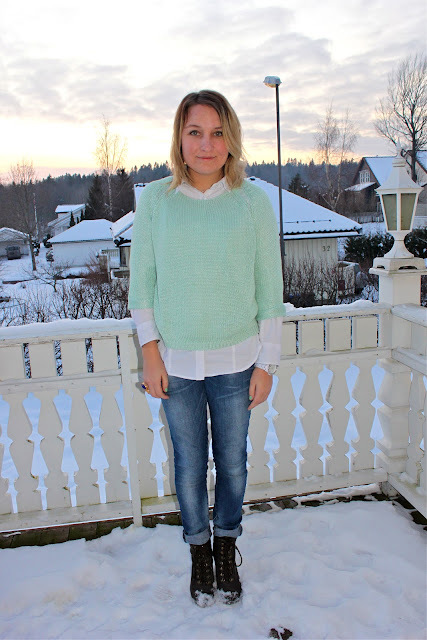 Love combination mint sweater with white shirt! Amazing ysl ring!